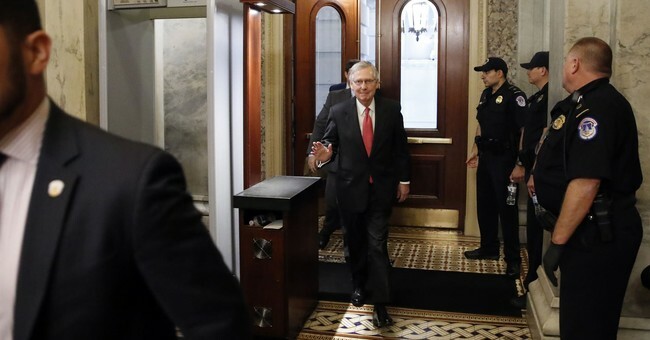 Former Hillary Clinton aide Philippe Reines defended protesters heckling Senate Majority Leader Mitch McConnell (R-KY) at a restaurant, arguing that McConnell is “getting away with murder.” Reines went on to downplay encounters other Republican officials had with protestors at restaurants. "Mitch McConnell is a pretty stoic guy,” Reines said on MSNBC Sunday, “I think he’s sitting there and he’s thinking a couple things, first of all, ‘I have Capitol Police that are 10 feet away,’ two, he’s thinking, ‘I got my wife Elaine, who is better than the Capitol Police,’ three, he’s thinking, ‘Merrick Garland verse my leftovers.'" “This is such a made-up problem," he added of protesters heckling Republicans, “It is the First Amendment…people are doing this because there is no other opportunity or no other oversight. The Republican Congress has basically pledged fealty to Donald Trump. People are doing these things because it’s all that’s left." He went on to downplay incidents where White House Press Secretary Sarah Huckabee Sanders was asked to leave a restaurant and DHS Secretary Kirstjen Nielsen left a Mexican restaurant after being screamed at by protesters. Reines then argued that the incidents were not as worrisome to him as House Minority Leader Nancy Pelosi (D-CA) being heckled by the extremist “Proud Boys” group during a campaign event last week. He even accused the Republican Party of giving "aid and comfort" to the "Proud Boys" and white nationalist groups in general. However, in contrast to Reines’s reaction to the heckling of GOP officials, many prominent Republicans, including Sen. Marco Rubio (R-FL) and House Majority Whip Steve Scalise (R-LA), condemned that protest of Pelosi. Nelson Diaz, the chairman of the Republican Party of Miami-Dade County, apologized for his participation in the protest and claimed that he did not invite the extremist group. Terrie Rizzo, the chair of the Florida Democratic Party, has called on Diaz to resign over the incident.